Mike Bracken, previously Executive Director for Digital, and Chief Data Officer for Government, has been awarded an OII Internet and Society award in recognition of his efforts to drive delivery of online government services in the UK. Mike co-founded (and until 2015 headed) the UK Government Digital Service, which has been internationally lauded for its innovative and significant impact in setting up gov.uk and leading digital transformation of public services. The challenge he faced was to bring together the hugely disparate and decentralized web presence of central government departments and services, to build capacity and expertise across government (and reduce the power of huge global computer services providers), and to move to ‘digital by default’ public services, with the aim of creating a single coherent system based on the concept of “government as platform”. As well as delivering cost savings to government through the transformation of many services, the determination to provide a clear, easy-to-use digital service to all central government services has undoubtedly made it simpler for UK citizens to access key services and information. Mike was previously Director of Digital Development at the Guardian, and also helped set up the non-profit social enterprise MySociety, which builds online technologies that give people the power to get things changed. 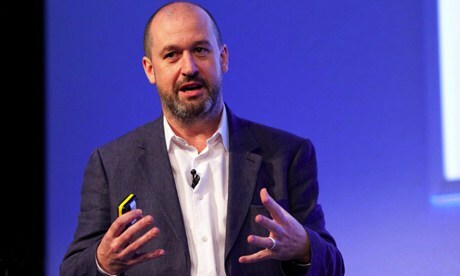 He is now Chief Digital Officer for the Co-operative Group. The award was presented on 11 November in Oxford, at an awards dinner.